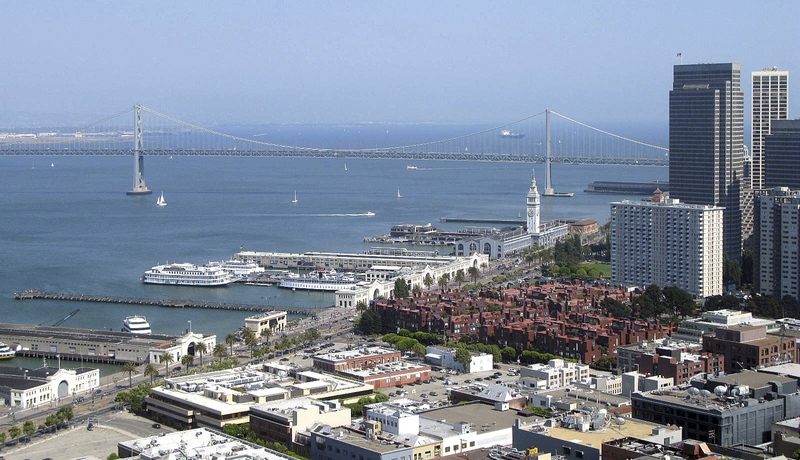 The Port Commission of San Francisco is set to approve a prime Embarcadero waterfront location for what will be the largest homeless shelter in the city. The commissioners, appointed by the mayor, are scheduled to vote on the proposal April 23. It is expected to be approved. “The commission is likely to support the mayor’s proposal, but has a strong track record of engaging with the community,” said Elaine Forbes, the port’s executive director, in an interview with the San Francisco Chronicle. The facility, called a “SAFE Navigation Center,” (Shelter Access For Everyone) is planned to house at least 175 people and provide comprehensive social services for the area’s homeless, including care for pets and access to storage, according to Jeff Kositsky, executive director of the Department of Homelessness and Supportive Housing. The shelter will be located at Seawall Lot 330, directly across from piers 30/32, and is estimated to be open for four years. The area around the proposed shelter site is densely residential, consisting mainly of high-end apartment homes in the Rincon Hill and South Beach neighborhoods, ranging from $750,000 to millions of dollars, per Zillow. San Francisco has an average daily homeless population of 7,500, according to the 2017 San Francisco Homeless Count & Survey, and an estimated 4,300 sleep on the streets each night. Democratic Mayor London Breed announced her plan last October to add 1000 beds for the city’s homeless by the end of 2020. She unveiled the proposed shelter site on March 4. “To help those living on our streets, we need to meet people with shelters and services where they are,” Breed said in a statement. “The waterfront has a number of challenges around homelessness.” Seawall Lot 330 is owned by the Port of San Francisco, so the Port Commission’s approval is required. To speed up the project, Breed introduced legislation in January declaring a shelter crisis for San Francisco, along with ordinances to expedite developmental red tape. Eight days after the announcement, residents were invited to share concerns at the Port Commission’s scheduled March 12 meeting. The public comments were overwhelmingly negative, with many residents displaying visible emotion during speeches, which were limited to two minutes each. Most of their issues related to increased crime, drugs, loitering and garbage. The meeting was broadcast on San Francisco Government TV.